Suitable for all common building and frame materials without the need for additional plugs. Use 6mm drill bit and a T30 Torx driver bit 46139 . 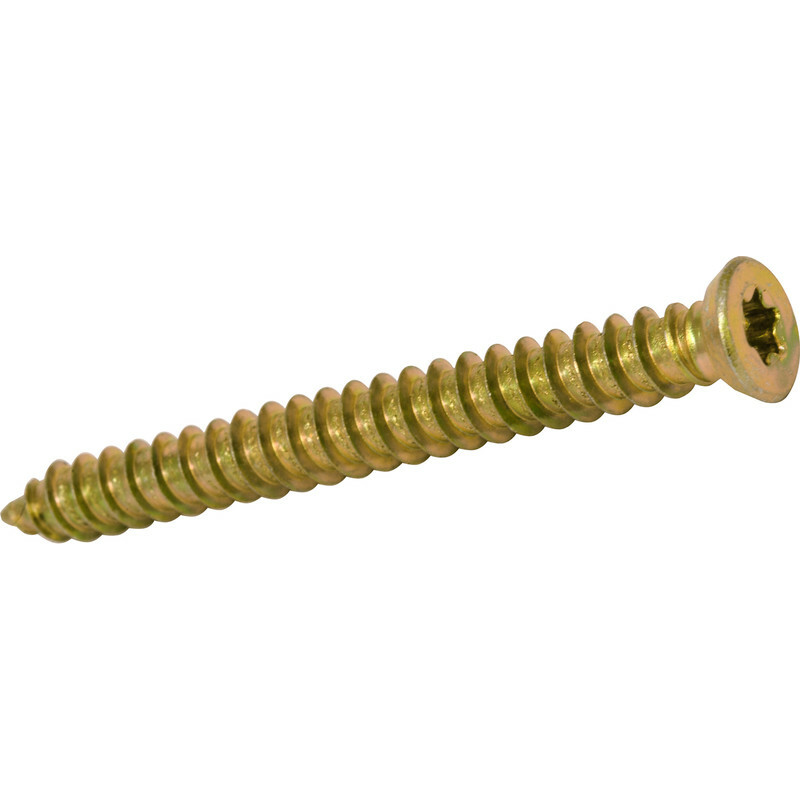 Masonry Torx Frame Fixing Screw 7.5 x 82mm (10 Pack) is rated 4.8 out of 5 by 36. Rated 5 out of 5 by Gazzy from Good product friendly staff (Sunday Staff members) Bought this item, was very cheap but did not perform like it. Rated 5 out of 5 by Pughnatic2 from Excellent fittings Was always a bit dubious about using this kind of fitting but those doubts were misplaced, these fittings are brilliant. Made light work of fitting a framework for a new ceiling. Would definitely use again. Rated 5 out of 5 by It stuck alright from Screws Makes fitting window and door a doddle,no diddling around with frame fixer's anymore. Rated 5 out of 5 by Mr Tall from Spot On Was a bit nervous about not buying branded screws, but these are excellent. Rated 1 out of 5 by Veteran DIYer from Rubbishe Totally disappointed. The masonry Torx frame fixing screw failed to enter the pre-drilled pilot hole(6mm) in either brick or concrete, even on highest torc setting on the drill driver. Had to return the packs and use another product. Not fit for purpose.